Aretha Franklin has canceled a pair of upcoming performances over health concerns: the soul singer has pulled out of concerts May 20th in Chicago and May 26th at Foxwoods Casino in Connecticut. 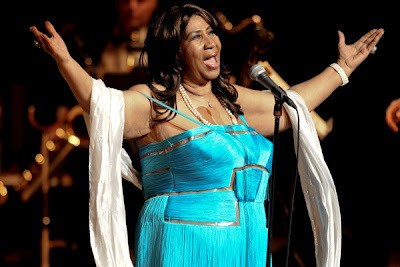 Franklin, 71, had been scheduled to perform with the Chicago Symphony Orchestra, which told Reuters that the "Respect" singer canceled because of a "doctor's recommendation for treatment during the time frame of May 20th and May 26th." A spokesman for Foxwoods, where Franklin was to have performed solo, offered a similar explanation. "It was canceled for medical reasons," Dale Wolbrink said. He declined to specify what the reasons were. The singer's rep hasn't commented on the scheduling changes. It's not the first time Franklin has had to cancel performances for medical reasons: she nixed a tour in 2010 for surgery related to an undisclosed health issue. The singer said at the time that she had suffered severe pain in her side, sparking rumors – which she denied – that that she was undergoing treatment for pancreatic cancer. Janelle Monáe will fill in for Franklin in Chicago. Franklin is still scheduled to perform in Canada and Michigan in June.